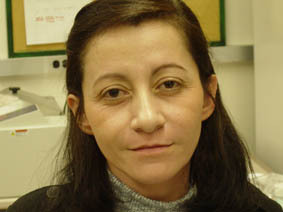 Ana is currently working in research at Mass General Hospital. I specialize in internal Medicine and Anesthesia. I have been doing research since 8 years; I started as a postdoctoral fellow at the Wellman Center for Photomedicine at Massachusetts General Hospital. I have dedicated my time to understanding the function of FcRs in populations of monocytes/ Mφ (blood, bone marrow and kidney), understanding the interaction between FcRs and short pentraxins (Serum Amyloid P (SAP) and C - reactive protein (CRP)) and studying how pentraxins regulate the activation and function of monocytes/ Mφ. We have applied those concepts to understanding the mechanisms by which kidney fibrosis progresses using established models in mice, the UUO (Unilateral Ureteral Obstruction) model and the IRI ( Ischemia Reperfusion Injury) model.